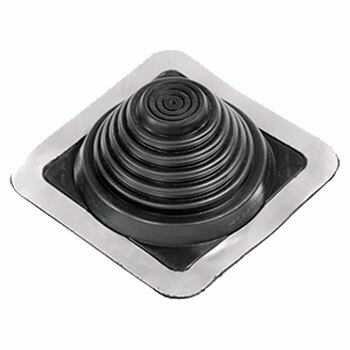 #3 Master Flash Black EPDM Pipe Flashing Boot. 8x8 Inch Square Base. Fits 1/4 - 4 Inch (6mm To 102mm) Pipes. Closed Top. Price/each.